בימים האלה הזמר אלי שוובל מושך אליו אש בקרב הקהילה הדתית אורתודוקסית של ניו יורק. הזמר הדתי הפופולרי הכעיס כמה וכמה רבנים כאשר החליט להופיע, לצד הזמרים מתיסיהו (שחזר בשאלה) ונשמה קרליבך (יהודיה רפורמית), בערב תמיכה בבני נוער הומואים מהקהילה הדתית-אורתודוקסית. "Eli Schwebel has got himself a big hit. Schwebel shows off his vocal dexterity, seamlessly traversing from a booming knock-down-the-house power to an angelic softness"
"Indeed, chaos should be a friend of ours. As a society, we’ve decided that chaos is our enemy. Joseph’s life was a life of chaos. Beauty and spiritual growth emerge from chaos; we just have to embrace it." Bang it out - e.s. has lost his mind...and we absolutely love it! 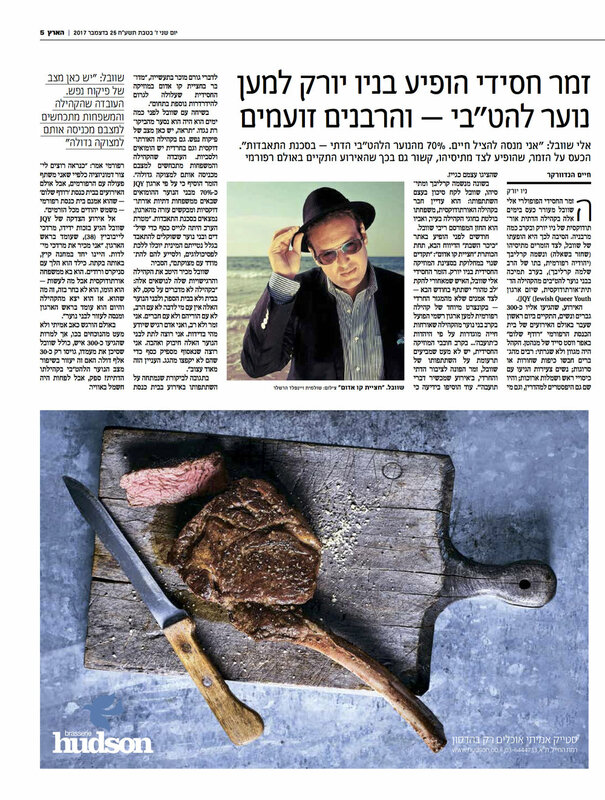 "...it’s rare that a Jewish musician can carve out a pop sound, mixing English and Hebrew lyrics, without feeling like he’s forcing one side over the other. Shwebel finds a fun balance..."
5tjt - who is eli schwebel? "...Eli Schwebel is recognized by the distinct sound that he brought to the Lev Tahor musical group that produced four melodic albums..."
"He grew up with music. His father is a musician. His grandparents were musicians. The Schwebels love music. And not just any music. Jewish music. It’s the lifeblood of the Schwebel family."